The translation was commissioned by Opera North for their 1992 production, directed by Caroline Gawn and conducted by Andrew Parrott. Gerald Finley took the title role, Linda Kitchen sang Susanna and Robert Hayward the Count. 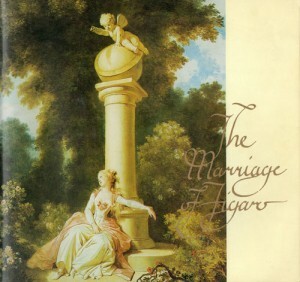 It was revived in 1996, and again in 2000 with Clive Bayley as Figaro. Lead me a dance if you like little master. As you go faster I’ll play along. never resist you, that’s where you’re wrong. you’ll go to purgatory where you belong. When I have found it, how shall I tell? It’s so revealing, tempting and new. Blazing with passion, weak with desire. But it is heaven pining away.